World leaders can go by many titles: premier, chancellor, dear respected comrade. But two of the most common are president and prime minister. What differentiates them other than the latter’s hint of continental flavor? A prime minister, by definition, must be able to command a legislative majority. In a parliamentary system, the prime minister sets the national agenda, appoints cabinet officials, and governs at the behest of a party or a coalition of parties. In parliamentary systems, presidents—if they exist—serve as largely ceremonial heads of state. In constitutional monarchies, such roles are filled by the king or queen. If a prime minister loses the legislative mandate, opposition parties may call for a vote of confidence in an effort to topple the sitting government. In this event, the president may be called upon to formally dismiss the legislature and schedule fresh elections. The concept of a president as a dual head of state and head of government had its origin with British colonial administrative structures in North America. Leaders of colonial councils were called presidents, as were the heads of some state governments. The presiding representative at the Continental Congress retained the title, and when the U.S. Constitution created the presidency of the United States, the role carried greatly expanded executive powers. Those powers would increase dramatically over time—particularly in periods of national crisis—which led historian Arthur M. Schlesinger, Jr., to describe the modern office as the “imperial presidency.” Still, there remains some separation of powers: the U.S. president cannot directly introduce legislation, and Congress retains the power of the purse. In a worst-case scenario, the legislature and the chief executive could deadlock, creating a situation in which the respective officeholders are essentially serving without governing. 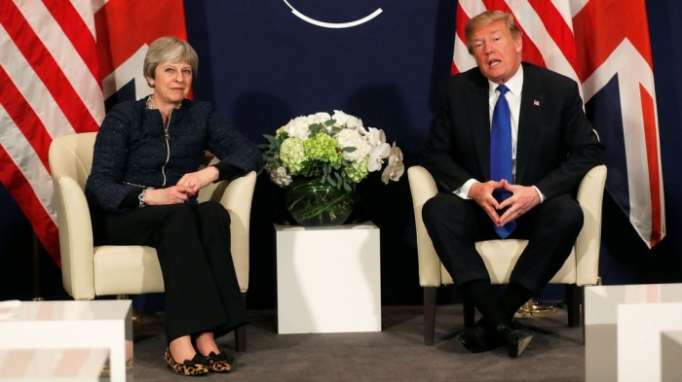 Perhaps the two most-obvious examples of each office are the U.S. president and the prime minister of the United Kingdom. The French presidency under the Fifth Republic wields considerably more executive power than its American counterpart, although it can still be partially checked by opposition parties in the National Assembly (lower legislative house). Since the appointment of Vladimir Putin as prime minister of Russia in 1999 and his election as president later that year, the balance of executive power in that country has resided in whichever of the two roles he is filling at the time.